The 10 Best Brunch Spots in Kansas! Nothing quite kicks off a weekend like a relaxing, late-morning brunch. And in the Sunflower State, you’ll find a variety of down-home places serving up the best in lunch and breakfast food. Fill those late morning cravings at these 10 great brunch spots in Kansas. June’s Northland in Leavenworth offers banquet services, catering, lunch and the best Sunday brunch anywhere! The atmosphere is perfect for enjoying a delicious meal, conversation and the staff offers great service. The food at the Doo-Dah Diner in Wichita is indescribably good, and the brunch menu is hard to beat. “Cooked from scratch” and served in style by a great wait staff. The Bluestem Bistro in Manhattan has a great Sunday brunch and all of the local folks will tell you it is a must try place to eat a great brunch. Good food cooked to perfections and served in style. A delicious brunch is served at the Urban Table Restaurant in Prairie Village. A five-star brunch served in a unique setting that allows patrons to enjoy the food, the company and the service. Scrambled Sam’s in Lyons is the perfect family restaurant to order brunch and enjoy a perfectly cooked feast. Traditional brunch items, omelets, healthy creations and great sides all cooked to order and served by some good Kansas folks. 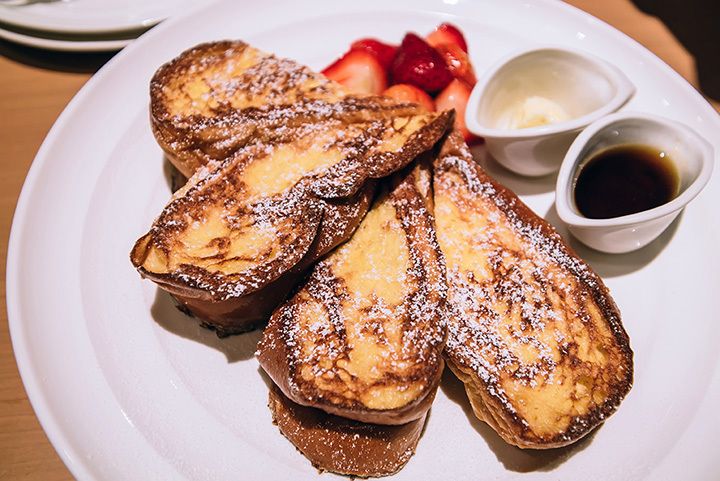 Drop by for brunch at Grand Street in Lenexa and enjoy an American cuisine brunch. The food is described as “simple, elegant and exciting” and prepared and served by a dedicated staff. Bon Appetit! The brunch buffet at YaYa’s Euro Bistro in Overland Park is a gracious buffet which offers something delicious for everyone at your table. A full-service buffet made up of wonderful combinations of American, Italian, French, and Greek cuisines. At the Water’s Edge Restaurant in Hesston, inside the Schowalter Villa located on Lake Vista, you can enjoy their celebrated brunch on Saturday mornings. Locals think the “waffle bar” is the best anywhere. The Big Biscuit in Lawrence offers an excellent Sunday brunch filled with some of the best breakfast items offered anywhere. And yes, try the big biscuit.